Program 6.7.15: Check it out! Upcoming events and things to take a look at: Westgate Home & Garden Tour, Caffeine Crawl Columbus, Sumukh Torgalkar opening for Rajiv Satyal, Columbussummercamps.org, OTENA Historic Home Tour, Not Your Momma's Craft Market. 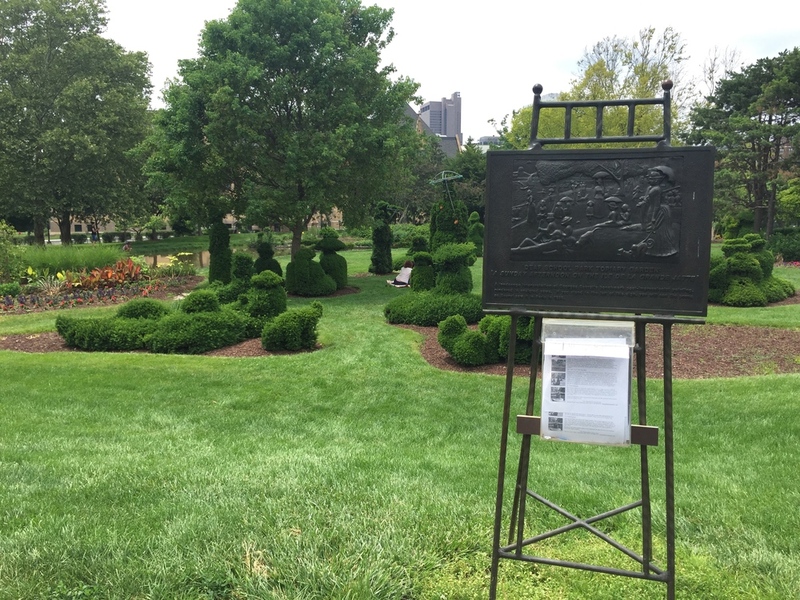 Also, we chat about The Vault, The Bosco Flea, and The Topiary Park. 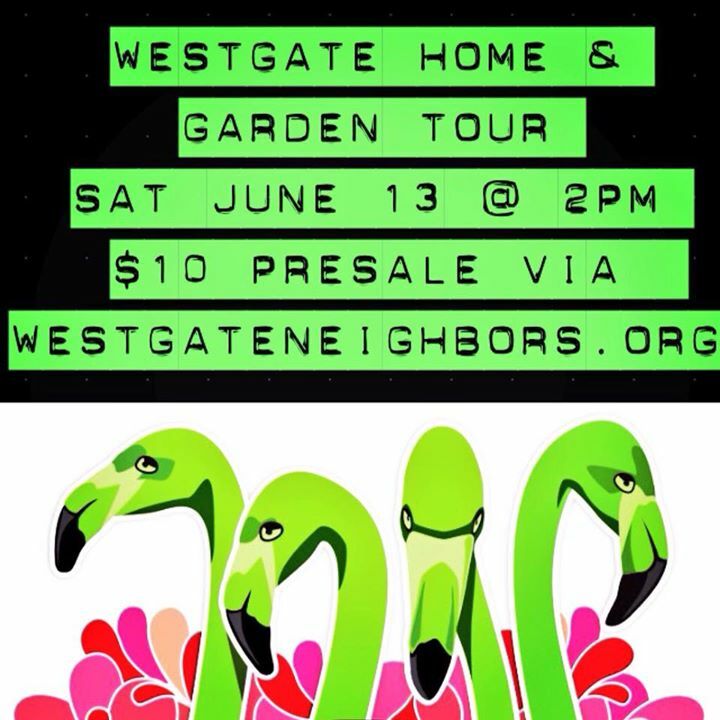 Westgate Home & Garden Tour: Saturday June 13 from 2pm-6pm. Registration tent opens at 1:30pm. Tickets are $10 in advance (until June 12th) or $12 on the day of the tour. Advanced purchases may be made via http://westgateneighbors.org/ or at the following Westgate Businesses: Haldeman Cleaners at 3115 W. Broad St and Gearhart’s True Value Hardware Store at 2885 W. Broad St. Thank you to David Jennings for contacting us! Sumukh Torgalkar will be opening for Rajiv Satyal on June 20 at the Rife Center. Looking for summer camps for the kiddo? Check out ColumbusSummerCamps.org for a complete listing of summer camps! Thanks to Scott and Jennifer Ertl for creating such an awesome resource for Columbus parents and grandparents to use to help in finding the perfect summer camp! Chelsey from Not Your Momma's Craft Market, #614CraftyExchange and her blog, prettypoorliving.com blog wants Columbus to know about all the amazing Craft events planned! Saturday: Burke and I were guests at his cousin's wedding. AJ and Lauren were wed by Burke's cousin (AJ's brother) Ben who joined us two weeks ago on the podcast. The wedding and reception were both held at The Vault. 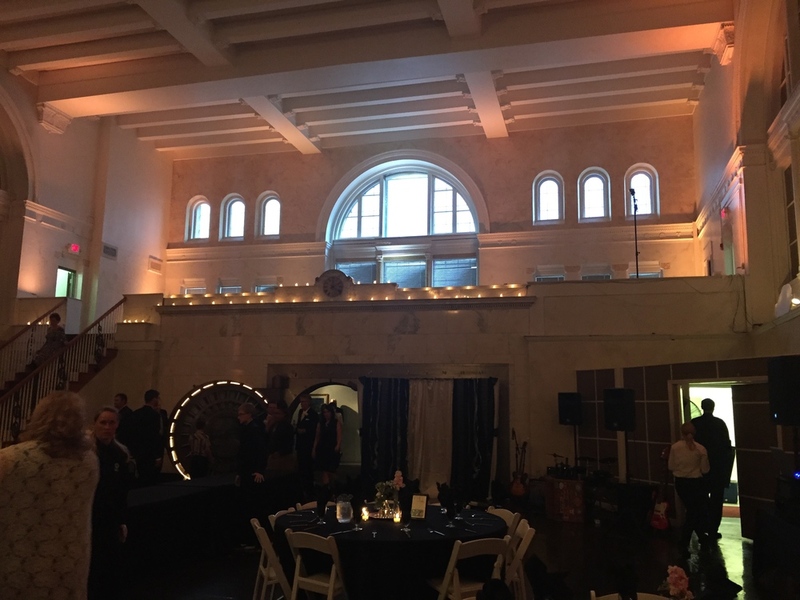 This is on 35 E Gay St downtown and it is an old bank repurposed into a beautiful banquet hall. The bar is inside the old vault! Sunday: With social media, there should never be a dull moment in our lives. We found The Bosco Flea and, thanks to the map on their website, saw The Bosco is a couple of blocks away from The Topiary Park. The Bosco Flea featured a variety of vendors: jewelry, collectables, bakeries, soaps, mirrored window frames, mid-century furniture, candles...you name it! And we really enjoy meeting small business people and finding out more about what is going on in Columbus! After visiting with the vendors at The Bosco Flea, we drove to The Topiary Garden on 480 E Town St. This is the former sight of the Ohio School for the Deaf which was located there from 1890-1953. After a fire destroyed all the buildings except one, the land was left in poor condition. With much work, a topiary garden graces the park based on the painting A Sunday Afternoon on the Isle of La Grande Jatte by Georges Seurat. Information is provided for a self guided tour and there is a gift shop on sight. Fusion Bakery & Cafe: Owner/Operator Wendy shared with us the variety of events Fusion Bakery & Cafe hold for the community. Check out her website and think of Fusion Bakery & Cafe if you have an opportunity to volunteer...or if you are hungry for delicious focaccia bread! Chertova jewelry: Beautiful and clean, this jewelry appeals to the minimalist side of me. Well, that is the only side of me, so I like it... a lot! Perryn's Naturals: Cause what are the two things I am drawn to? Handmade soap and patchouli.